The Driftwood neighborhood is sometimes called an enchanted forest. Just 2 miles south of Downtown St. Pete, this funky, unique neighborhood is home to an eclectic mix of artists, writers, poets, businessmen, doctors, lawyers and more. With only 44 homes in the neighborhood its a place where everyone knows your name and youll feel like youve stepped back in time. 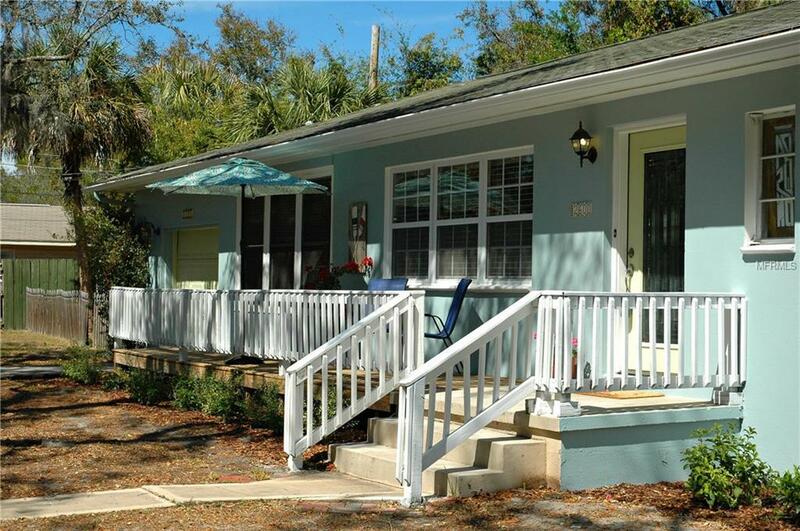 Every home owner shares the deeded private dock with access to Big Bayou. Despite sitting just a short distance from the shore, this home does not require flood insurance. The home built in 1951 is a charming, two bedroom, one bath house that feels much larger than its 1248 sq. ft. size. It includes two bonus rooms perfect for an office, studio, game room or whatever your imagination can dream of. The kitchen has updated cabinets and granite counter tops. The one car garage has been plumbed for an additional bathroom. With fresh paint inside and out, this home is move-in ready so you can enjoy evenings on your back deck or your front porch under the towering canopy of oak trees. The Driftwood neighborhood has requested a Historic Designation from the city. Please ask your agent to download the document detailing the current status of this process or contact the listing agent for more information. Additional Water Information Neighborhood Dock is Private For All Driftwood Residents. Deeded.